Have you ever walked past a building and wondered how it got its name? The origin can often provide an interesting backstory to a place's history, making you appreciate it even more. Sometimes, however, innovators do get writers' block, and what you end up with is something rather less inspiring. I think this appeared to be the case in 1903 when Sir Charles Wyndham built a new theatre located on St. Martin's Lane in London. Already having named a theatre after himself, he must have been running short of ideas, as it ended up with the unimaginative title, New Theatre. Ironic for an outlet designed as a hub for creative expression. Of course, by 1973 and, celebrating its seventieth birthday, the New Theatre was no longer new, and was renamed Albery Theatre in memory of its dedicated manager, Sir Bronson Albery, who passed two years previous. Albery was succeeded by both his son, Donald, and grandson Ian. 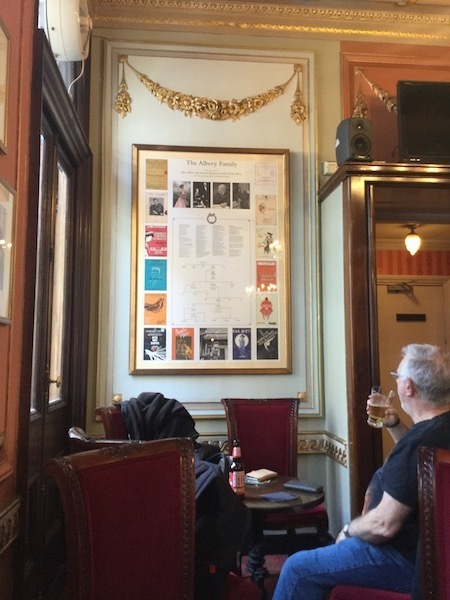 As thanks for the family's important contribution, the theatre displays a large framed family tree in the Albery bar. In 2005, however, the theatre was taken over by Delfont-Mackintosh Ltd, and with it came a major refurbishment. The theatre reopened in 2006 under the new namesake, Noel Coward. Noel Coward was a renowned playwright, actor, and songwriter, and back in 1920, he performed at New Theatre in his West End debut, I'll Leave it to You. It is a fitting tribute that honours past talent, but also indicates the high-quality body of work the theatre is known to produce. This Grade II listed building was designed by the architect, W.G.R. Sprague, whose Italian Renaissance-inspired style can be seen all over the West End, having built eleven theatres in London, ten of which are still standing. 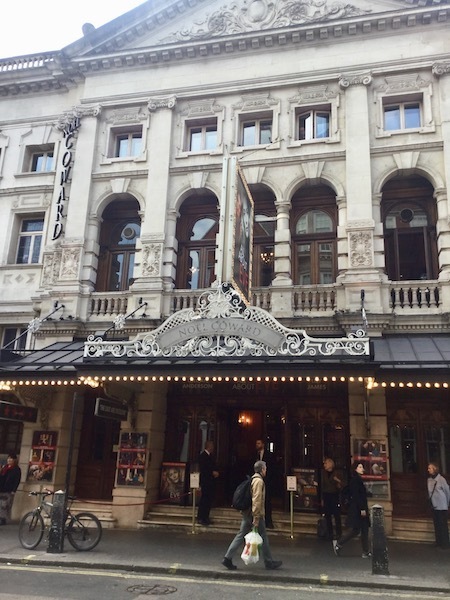 While the Noel Coward may not be as aesthetically grand as the Palace Theatre, which I visited a few years ago, one can admire the geometric compilation of a triangular frieze adorning a rectangular building with curved central arched and pillars. Inside, the foyer is filled with warm colours, characterful woodwork, and comfortable sofas. there are also three bars, which can be found on different floors. 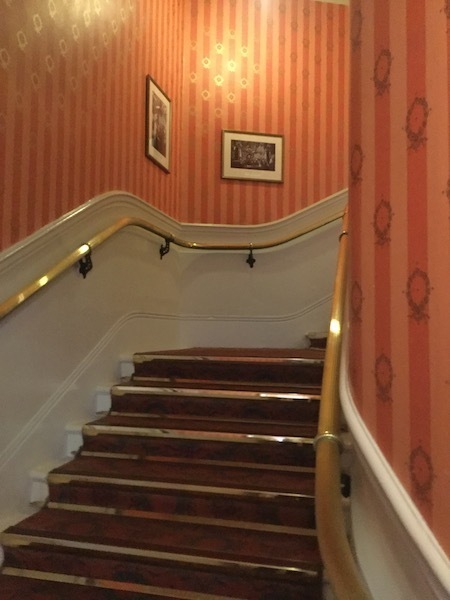 Depending on where you have booked seats, you will either go up or down a flight of stairs, which takes you on a journey of past productions. A series of photographs make up a gallery along the staircase, showcasing some of the best-known names on stage. 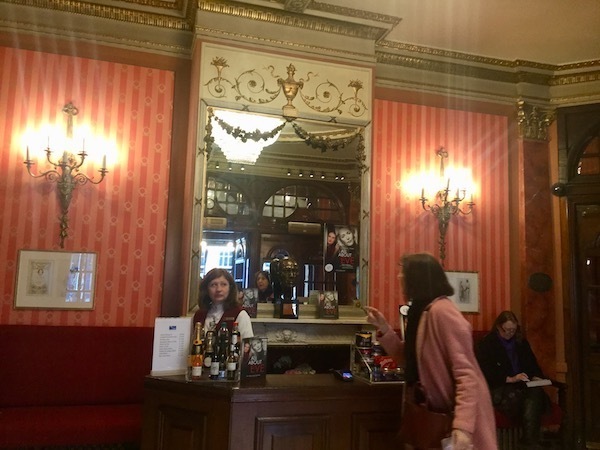 Examples of some of the stars who have performed at the Noel Coward include John Gielgud, Katherine Hepburn, Laurence Olivier, Alan Rickman, and Nicole Kidman. The auditorium itself houses 872 seats, ranging from budget prices high in the galleries to premium tickets in the royal boxes. 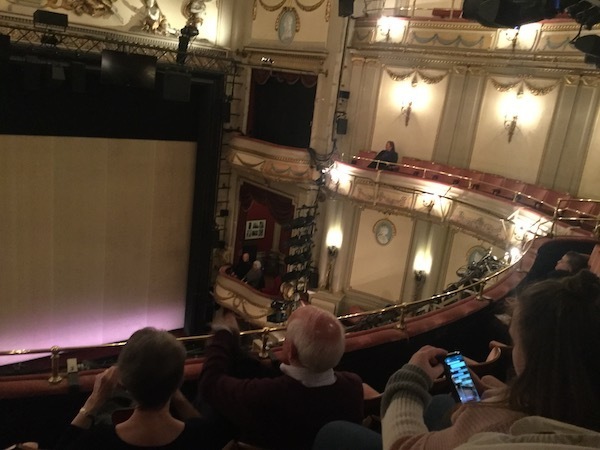 Remembering the restricted view I had from the balcony last time I went to the theatre, this time I decided to book seats in the Royal Circle. Comparing the two experiences I had, I can definitely say that it is worth spending that bit extra. Instead of thinking about my aching back as I tried to peer over the safety barrier to see, I could sit comfortably and simply enjoy the play. 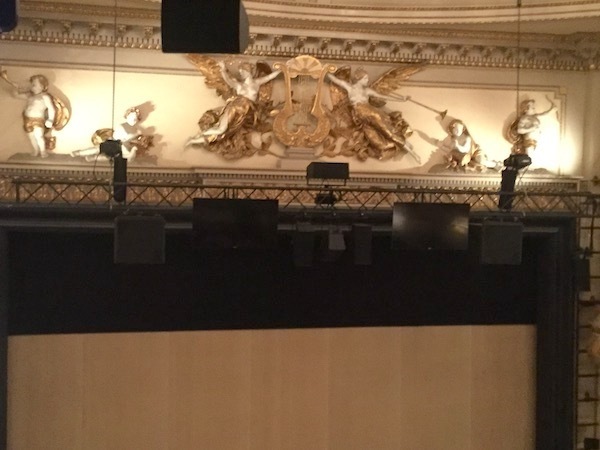 From my seat, I also had a direct view of some very muscular looking cherubs. They must have been working out. Who knew you could get a six pack in heaven. If you are wanting to book for a special occasion, there are VIP and Champagne packages available to make the event all the more enjoyable. 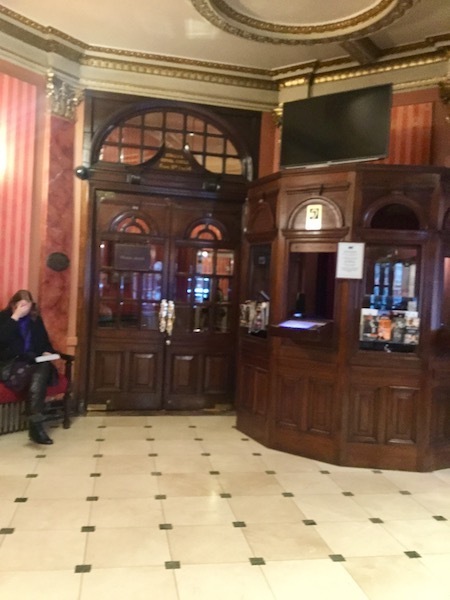 The Noel Coward tries to make sure that everyone can enjoy seeing their plays, having various accessibility options, including wheelchair spaces, infra-red headsets, and quiet rooms for people with autism, who have the option to watch on a screen if they wish. The staff are all friendly, helpful, and ensure sure everything runs smoothly, so you can have a relaxing and hassle-free experience. 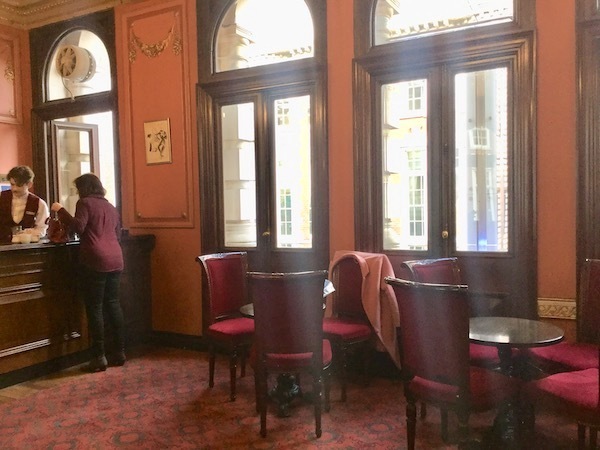 A wide range of productions are held at the theatre, from classic Shakespeare plays to more modern shows such Avenue Q, meaning there is something to suit all audiences.